Body Interact will fly to the US once more. This time we will participate in the American Heart Association Scientific Sessions, from November 7 to 11 2015, in Orlando, Florida. Scientific Sessions usually bring about 18,000 professional attendees to this important event, with more than 100 countries being represented. 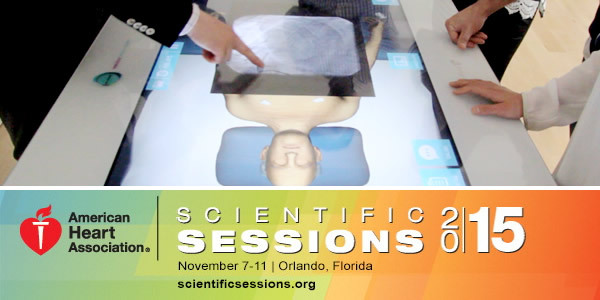 Attendees may find Body Interact at the “Hands-on learning in the Simulation Zone”. Come and test your cardiac knowledge, skills and critical thinking with this immersive training platform that virtualizes acute and chronic medical conditions. Looking forward for your visit.